At The Law Offices of Jed Silverman, we fight for and protect the rights of individuals who have been accused of committing criminal offenses. Over the years, our Houston criminal defense attorneys have successfully handled thousands of cases throughout Texas as well as across the United States, in both state and federal courts. When it comes to choosing a defense team that will tenaciously fight for you from start to finish, look no further than our established and reputable firm. We recognize the stress you may be facing, and if you retain our services, we will do everything within our power to help you reach the most favorable outcome possible. Led by Attorney Jed Silverman – one of only 10% of attorneys in the state designated as a Board Certified Criminal Law Specialist by the Texas Board of Legal Specialization – our firm is able to draw from extensive experience and a proven record of past success when advocating for clients charges with all types of crimes. One of our team members has over 20 years of experience working for the Texas prison system. Because of this unique insight into how the inside works, we are able to further strengthen the defenses we build. This invaluable experience, combined with our reputation for strong defense, has led to our firm becoming a trustworthy source of legal insight for numerous media outlets. Our award-winning Houston criminal lawyers understand the stakes that accompany criminal charges, and we fight passionately throughout our clients’ legal journeys to protect their rights and freedoms, and secure positive resolutions that place them in the best position for a positive future. When you reach out to our firm, you will speak directly to an attorney, and will work closely with our legal team, if you choose to hire us. With so much at stake, do not settle for hiring just any lawyer. Hire a legal team with a passion for defense, and the exceptional success rate in trial to back it up. Board Certification is earned by only 10% of attorneys in the state of Texas. An award deemed for attorneys who have shown legal excellence, as determined by clients. The largest association of U.S. defense lawyers, established to ensure justice and due process. A rating based on a lawyer’s experience, professional achievements, and industry recognition. Promotes legal excellence for some of the most reputable trial lawyers throughout the U.S. Recognizes outstanding lawyers for their peer recognition and professional achievement. 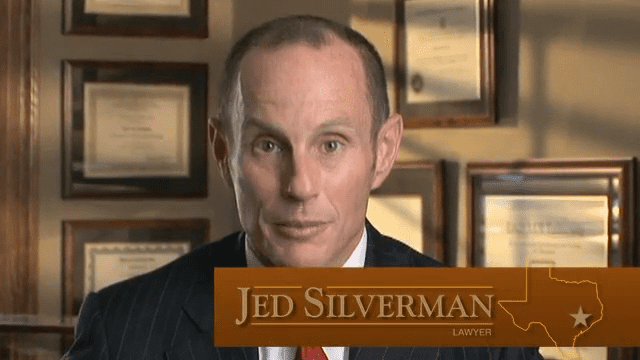 Jed Silverman is dedicated to defending citizens charged with criminal offenses and regularly helps persons charged with misdemeanors and felonies of all types. Trinidad received his undergraduate degree in criminal justice in 2007. 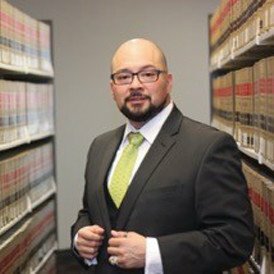 In 2011 he completed his associate degree in paralegal studies. Whether you are facing charges for a minor misdemeanor or a major felony, our team has the skills, resources, and tenacity you need. We will not hesitate to take on a complex case, and use hard-hitting defense strategies in and out of the courtroom to effectively represent individuals facing any type of criminal charge. When it comes to reliable legal insight, our professionals have become the voice to be heard on the news. Featured in the media on numerous occasions, our attorneys are the legal team to turn to when it comes to learning the facts and uncovering information about criminal defense.